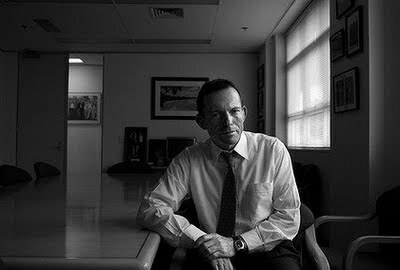 The former PM is back on the talking points, painting himself and Dutton as "reluctant challengers" and orating about "the betterment of mankind". 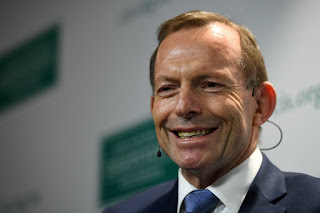 Bad news for all those hoping Tony Abbott will leave Parliament soon: on Monday, Abbott told a packed crowd of adoring fans at the uber-conservative Centre for Independent Studies in Sydney that he isn’t going anywhere. Abbott is already negotiating some kind of “Indigenous envoy” role with his new leader Scott Morrison. It’s as if the Liberals don’t have someone like the Member for Hasluck, who may know a thing or two about Indigenous affairs. Abbott was scheduled to speak on the vexed subject of immigration, after his calls for a national reduction. But given the events of the past seven days, it was only logical for him to provide his side of the #libspill story. As expected, he also was totally unrepentant. Politics today is better than it has been in the past few days. Peter Dutton was a most reluctant challenger last week, just as I was back in 2009. Peter Dutton was someone who, above all else, wanted to change policy and not change leader. of economically liberal and socially conservative. ... to cut price, not to cut emissions … the important thing is to get price down and let emissions look after themselves. ... like a trampoline than a hammock. ... immigration will go hand in hand with integration and in particular the stress for all primary applicants will be on having a job and joining our team and making a contribution from day one. In other words: new migrants will again have higher expectations placed upon them than the rest of us. Abbott said that under Morrison, the policy contest will be much sharper than under Turnbull. He claimed a key weakness of Liberals in recent times has been “seeking a false consensus rather than prosecuting a real contest”. Abbott said such an approach made little sense in a world where political differences are becoming wider, not narrower. Our great objective is not to make someone premier or prime minister. It’s not putting sixpence more or less in someone’s pocket. It is working for the betterment of mankind. Not just here but wherever we can lend a helping hand. The audience didn’t seem to mind. Apart from the journos, the audience was all nods and smiles. Among them was Maurice Newman, who was a member of PM Abbott’s Business Advisory Council and is highly sceptical of the existence of climate change. Abbott claimed his objective has always been to work to help others achieve their best selves. We didn’t see much evidence of that last week. First published in Crikey on 28 August 2018.